The other day I attempted to make my own version of kettle corn. It was a complete fail. Any tried and true recipes out there you'd care to share? So glad I'm not the only one! My hubs and I also tried to make home made kettle corn the other night...what a disaster! Lindsey, thanks for the link! I'm excited to try it out. I'll let you know how it goes. I've been making this recipe for awhile now and I love it! It isn't true kettle corn but, it's salty and sweet with a hint of vanilla. * Pop ½ cup kernels into a large bowl. * In a medium sized sauce pan combine butter, sugar, and Karo syrup. 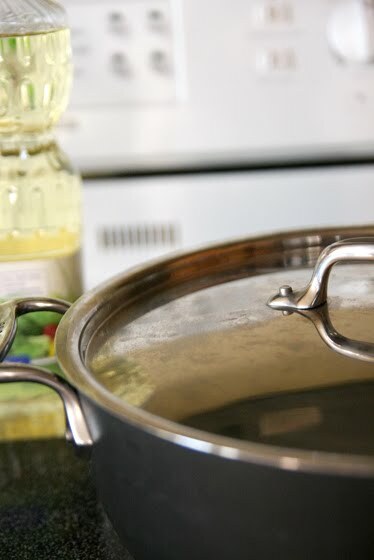 Stirring constantly, heat to a rolling boil and let boil 1 minute, stirring the whole time. * Take off heat and add vanilla. * Pour over popcorn and mix well. While you are mixing make sure to add salt. I use my salt shaker and add about three shakes of salt. 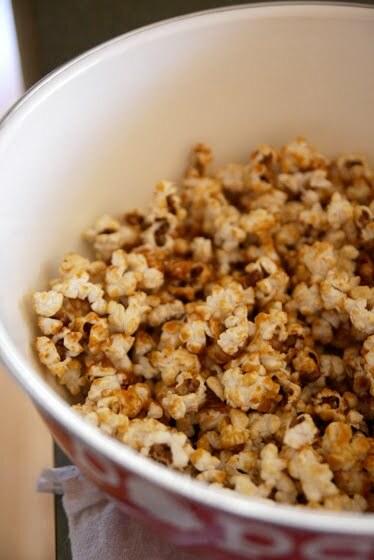 * If you want the syrup to set on the popcorn so it isn’t quite so sticky pour the popcorn, once it is coated, onto a lined cookie sheet and cook at 250 degrees for 10 minutes.